Trump is understandably cautious right now. But his comments -- and a situation that pits a despotic ally against a journalist -- is ripe for getting it wrong. 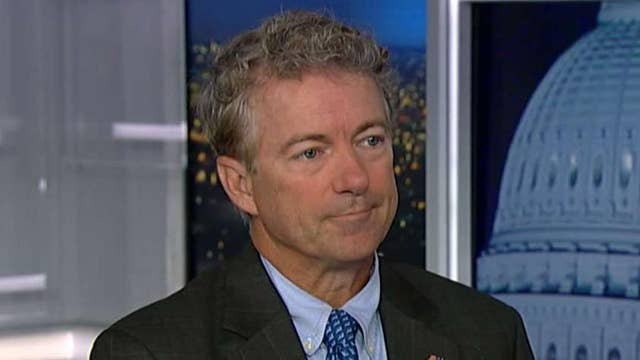 Kentucky Sen. Rand Paul said he plans to introduce a bill this week to cut off all military aid to Saudi Arabia until missing Saudi journalist Jamal Khashoggi is returned alive. President Trump reacts on 'Fox & Friends' to the deputy attorney general's reluctance to talk under oath to Republicans, the Russia 'witch hunt', Saudi Arabia, midterm elections and trade. In a television interview, the president he wants to “find out what happened” before deciding on actions to take. Washington Post reports that U.S. intelligence intercepts reveal the crown prince of Saudi Arabia ordered Jamal Khashoggi to be lured and detained; Rich Edson reports from the State Department on the latest. Mohammed bin Salman, the Crown Prince of Saudi Arabia, ordered that Washington Post contributor Jamal Khashoggi be lured to that country from his home in the U.S. and detained, the paper reported Wednesday evening.